Global educators and coaches to deliver world class, educational experiences for visitors of The Learning Resort. Dr. William Sheehan is the Director and Chief Academic Director of The Learning Resort. 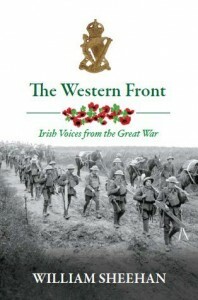 He is one of Ireland’s leading military historians, he is the author and editor over eight books, including British Voices from the Irish War of Independence (2005), Fighting for Dublin (2007), Hearts and Mines: The British 5th Division, Ireland, 1920-22, (2008), A Hard Local War: The British Army and the Guerrilla War in Cork (2011) and The Western Front: Irish Voices from the Great War (2011). He is currently writing a military history of the Irish Revolutionary Period (1916-1923) for Ireland’s largest publisher, Gill and MacMillian, the book will be called The Battle of Ireland: 1916-1923. Dr. Sheehan is a graduate of University College Cork, the Open University and the University of Limerick. He has taught at Griffith College Cork, NUI Maynooth, University College Cork, and the Open University. He is a Fellow of the Royal Historical Society and the Higher Education Academy. His last role before joining The Learning Resort team was as a Senior Faculty Manager at the Open University. Dr. Sheehan’s role at The Learning Resort is to bring the most interesting and creative national and international speakers to Killarney to create world class education experiences for all those who attend the resort’s courses.